While some individuals with dementia require placement in a full-time care facility, many are able to live at home with the help of an in-home caregiver. A new study performed by researchers at John Hopkins University discovered that an in-home care coordination program for individuals with dementia improved their quality of care, quality of life, and ability to remain comfortably living at home. Home care agencies that offer specialty services by utilizing ClearCare Online’s home care software and home care system edge out the competition by providing the highest standard of care, supervision, and client satisfaction. A recent news article highlighted the importance of providing specialized services to dementia patients. “Music and Memory,” a program developed to help dementia patients reconnect with the world through memories triggered by music, has contributed to a reduction in medication use. Kim Norris, chief of communications and government outreach for the Ohio Department of Aging explains that the program trains elder care professionals to create and provide personalized music playlists for senior patients. "They've found it connects to people's deepest memories,” Norris relates. “It literally brings them alive. They start to really come out of it." If you are a home care agency administrator, could you bring music therapy to your senior clients with dementia? Perhaps there are other specialty services you can think of. The point to remember is the principle behind “Music and Memory” and other such programs, which is to provide seniors with satisfying life experiences in addition to basic care. A robust home care system and home care software like ClearCare Online may be just the tool you need to begin offering or helping to manage more specialize services for clients. Evidence shows that education about dementia disorders – as well as proper management of the disease – is critical to quality care. Agencies that use ClearCare Online’s home care software and home care system are able to match qualified caregivers with individuals who have dementia, based on pre-set criteria. Using a reliable home care system eliminates the risk of complications that come from uncertainty or ambiguity regarding dementia care. Another advantage of ClearCare Online’s innovative home care software is that it helps caregivers with managing the daily care for dementia patients. For example, juggling multiple medications can be challenging, especially for seniors with dementia. Caregivers can use their secure home care software to track all prescription medications, when they should be administered, and the proper dosage. Once the medication reminder has been given, caregivers can update the agency and family members using ClearCare Online’s web-based home care system. 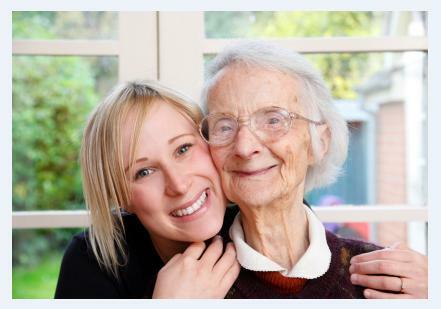 Offering home care services that help enrich the lives of seniors and their loved ones is a niche that the home care industry can thrive in when staff is well trained, dedicated and provided tools like a home care system that benefits agency administrators, caregivers and clients.